In the great age of social media self-starters, versatility isn't just a bonus – it's essential. 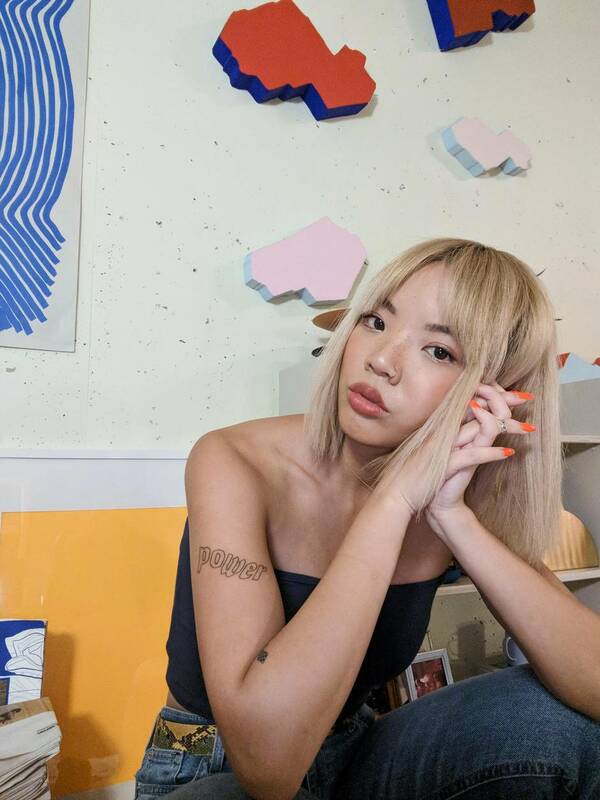 And no one epitomizes versatility more than Dani Roche, the Toronto-based street-styler-turned-marketing-guru who landed on Marketing Magazine's top 30 under 30 list with the launch of her full-service agency, Kastor & Pollux, back in 2016. Most recently, Roche ventured into designing a line of outerwear, which is currently in its second season. Just as its name suggests, Biannual is a twice-yearly line of outerwear versatile enough to carry you through all four seasons. "Working on Biannual, which is conscious, no-fur, and unisex, seemed to be a natural next-step for me," she says. For spring, Roche upped the multifunctional ante with a collection of colourful styles that morph from jacket to fanny pack, from coat to cropped shirt and so on. "I'm always down for a statement coat and a good pair of jeans, and until the sun begins scorching down upon me to the point it is unbearable, I will definitely be wearing a turtleneck," Roche says of her spring look. Here, she shares her favourite pieces for transitioning your wardrobe this season. "My style these days is all about comfort, so whenever I have the chance to look like I tried, I jump at it. And wearing a pair of statement earrings is the easiest way. The warm colouring of these earrings is subtle, but they really complement my skin tone." Après Ski iced pink Scabiosa earrings, $105 at newclassics.ca. "When the weather is especially confusing, and I just can't seem to get my bearings on what I want to wear, I like to experiment with my makeup. Bite's Prismatic Pearl Multistick is easy to apply but has maximized results." Bite Beauty Prismatic Multistick in Oyster Pearl, $28 at Sephora. "Sonya Lee's designs are sophisticated and edgy, which is the perfect pairing. This chain wallet has been making its rounds on all my belt loops since I bought it. When transitioning your wardrobe season-to-season, small yet practical accessories will make all the difference." Sonya Lee Stephanie Chain Wallet, $172 at sonyalee.co. 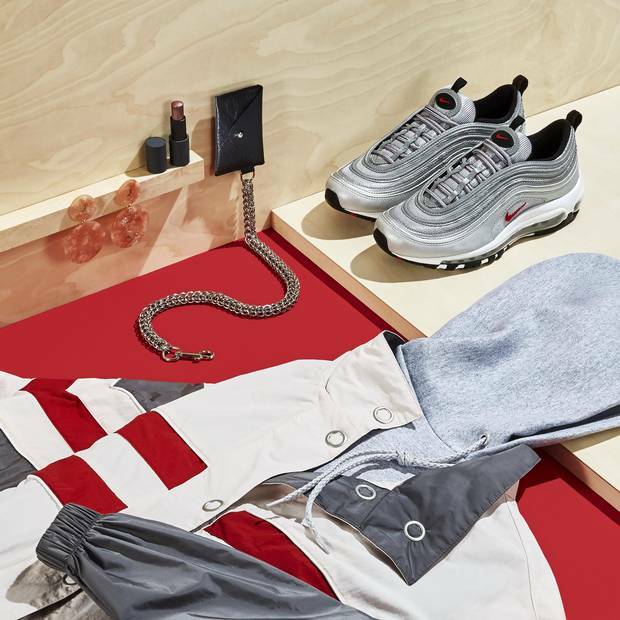 "The AM97s are my favourite sneakers because they're chill, but add a little reflective and elevated pizzazz to my look when it's warm enough to leave the house and frolic in the streets." Nike Air Max 97 OG QS Silver Bullet, $215 at nike.ca. "I took some scissors to this hoodie [just above the pocket], elevating it from a loungewear basic to a perfect transitional piece when paired with high-waisted trousers." Hanes Eco Smart pullover in Light Steel, $18 at amazon.ca. "Biannual's spring collection features the dreamiest colour palette and functional packable capabilities. This means you will never be without a cute li'l jacket no matter where you go, and no matter what weather conditions you may be faced with." Biannual Packable Striped Jacket, US$196 at biannual.com.